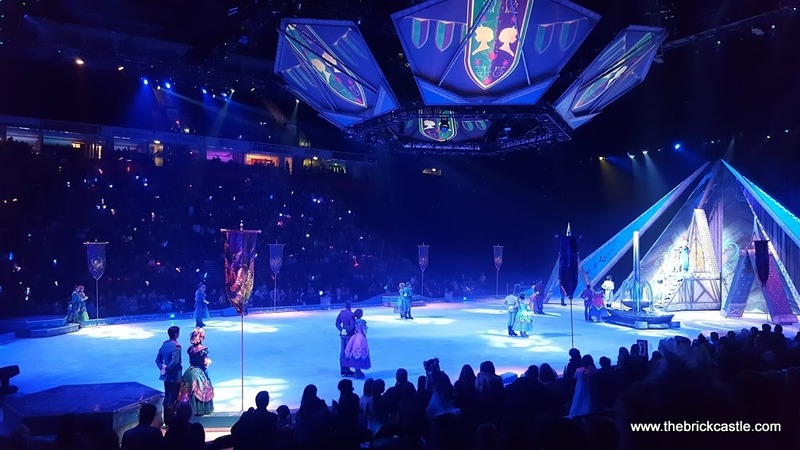 On Thursday we were among the crowd at the Manchester Arena for the first Manchester performance of this year's special Disney On Ice presentation, Disney On Ice Presents Frozen. 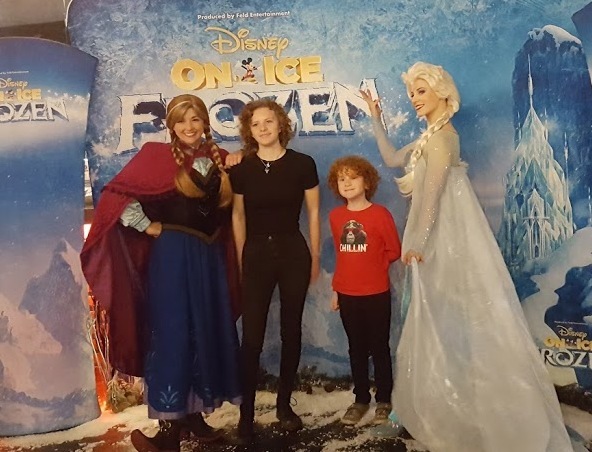 The magic for us started before the performance, as we'd been invited to a before-show meet and greet with a few of the stars...sorry for the poor photos, it was actually quite dark and I didn't have my flash on the camera! 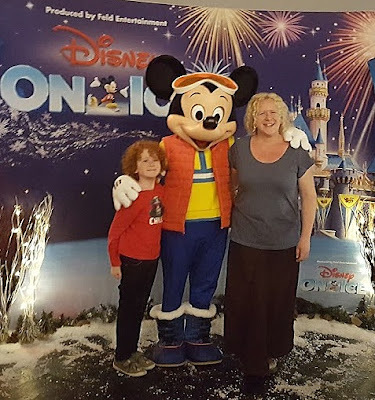 Anna and Elsa's costumes were just as good close up, and my 8 year old especially was delighted to meet Mickey Mouse, all ready for Winter in his snowboarding gear. We took our seats, and we were quite low down, towards a corner. We had a great view, I cannot complain at all. It does mean we have a long walk to the toilets or hot food if we want to go in the the interval though, and there are queues, so it'll take up most of the break. The show started with a short segment supporting Disney's Fit To Dance, which is being promoted by Peter Andre. 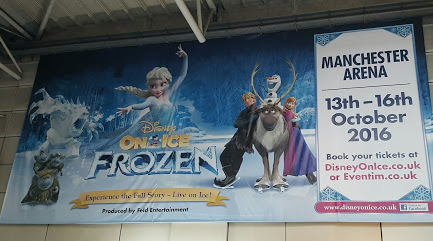 Loads of favourite Disney characters took part, and it was incredibly cute seeing hundreds of small children dressed up and dancing, including an Elsa that I recognised from MymummysPennies! Then the show proper began. 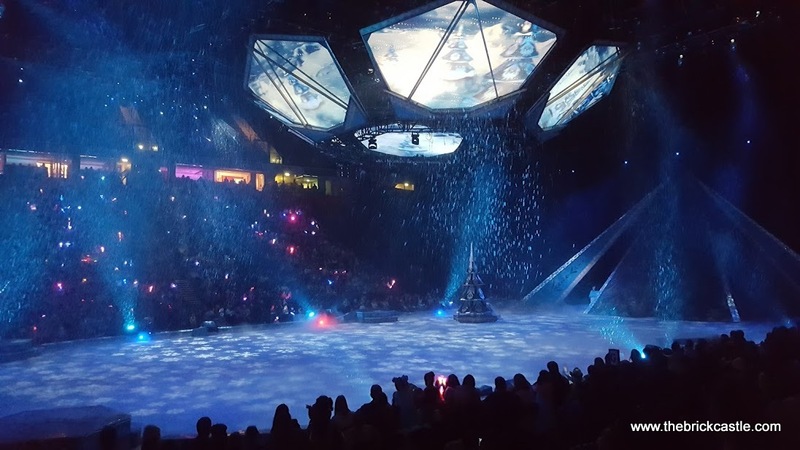 This is Disney On Ice Presents Frozen, so the main body of the whole show is the Frozen story. The on-rink scenery was supported by a beautiful full height screen at the curtain entrance and the immense ceiling projector, which was brilliant and had some gorgeous images shown on it's side and underside. Elsa's Ice Palace I have to say was a little disappointing. 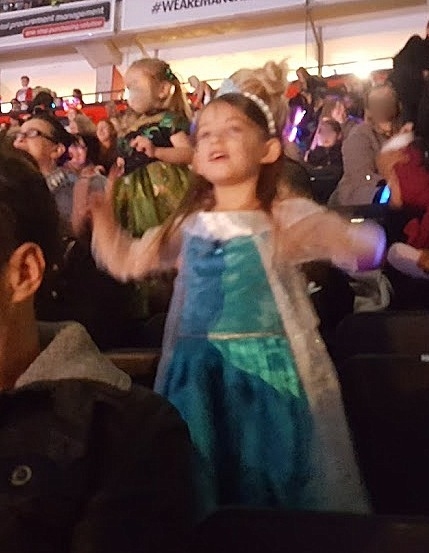 Last year's 'curtain' and high staircase seemed far more grand a place for her to belt out 'Let It Go', but it did still look beautiful. 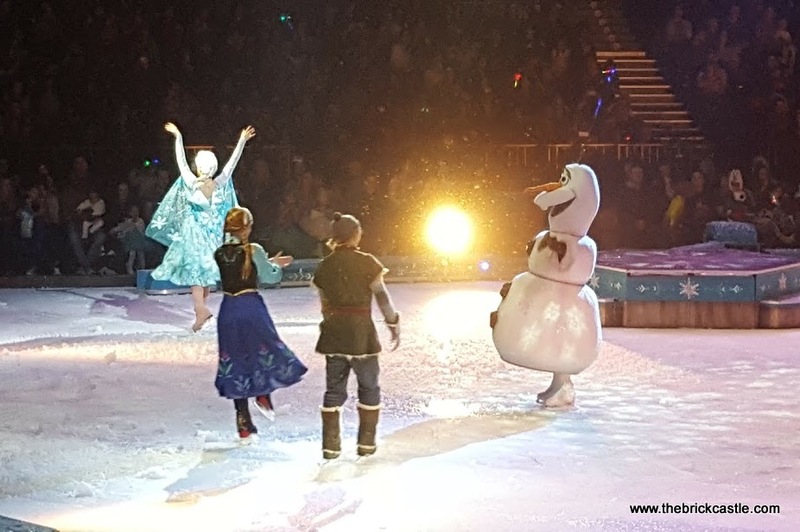 Biggest cheer of the night went to Olaf when he came on stage, but my favourite character was Elsa's guard, the Snow Monster, Marshmallow. 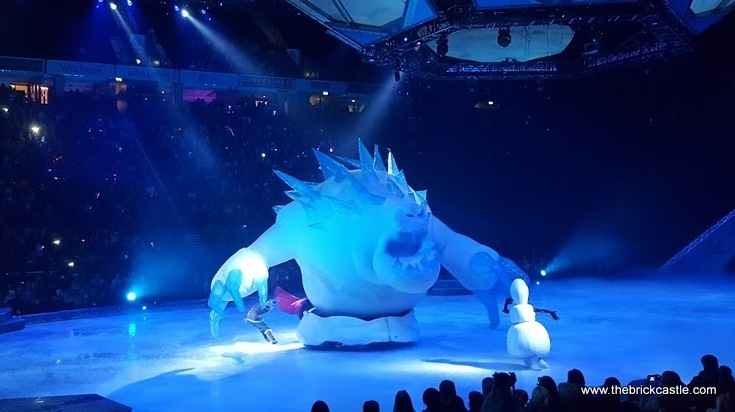 He was inflatable, and breathed out frosty air. 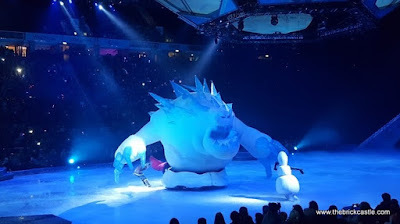 There was fantastic use of remote controlled props, so he was able to move around the rink and interact with the other characters just like any of the cast. 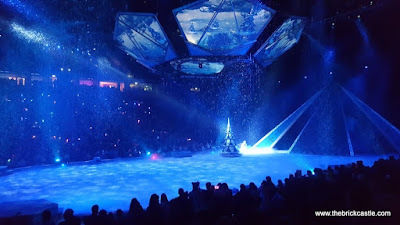 Special effect of the night was the snow. So beautiful and calming, and so much of it! Actually having snow falling from the whole sky was amazing, and enchanted the entire crowd. The skating is fantastic, and the story well acted, although Elsa was a bit overexuberant at times. 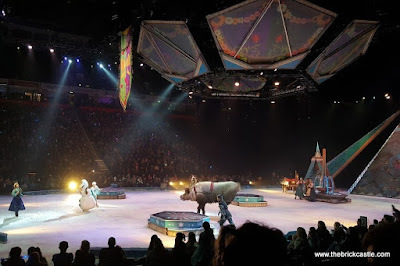 The songs were of course massive crowd-pleasers, and the audience sang along, but it didn't in any way spoil it. The special effects are brilliant. I actually prefer to have segments with different stories, I felt Frozen was covered well enough last year, but I can appreciate that it is the favourite, so people want more, and it lends itself so well to Disney On Ice that it had to be done. 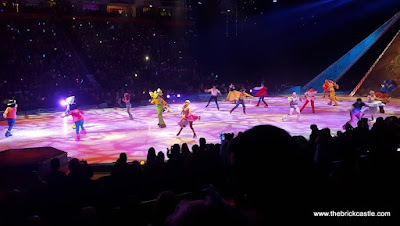 The people around us had paid around £25 each for their tickets, with a great view. Up in the Gods ticket prices are lower, around £18, and I agree with everyone I've spoken to locally who went, it was well worth the money. 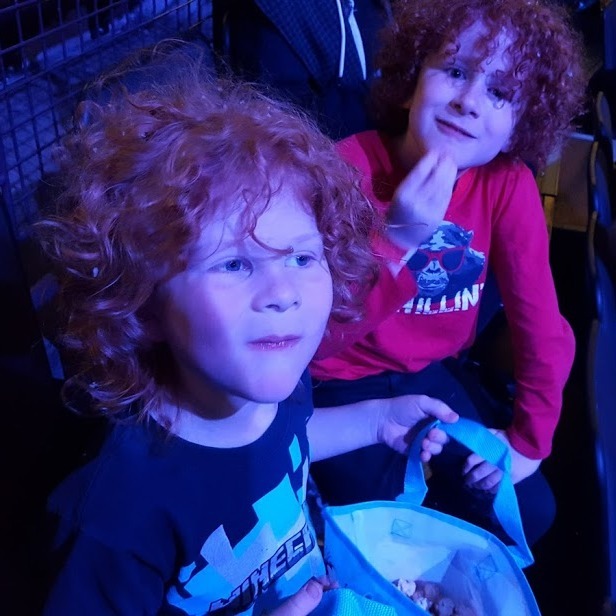 It's an experience you and your children will not forget. Disney and Feld Entertainment don't fail to supply the magic. 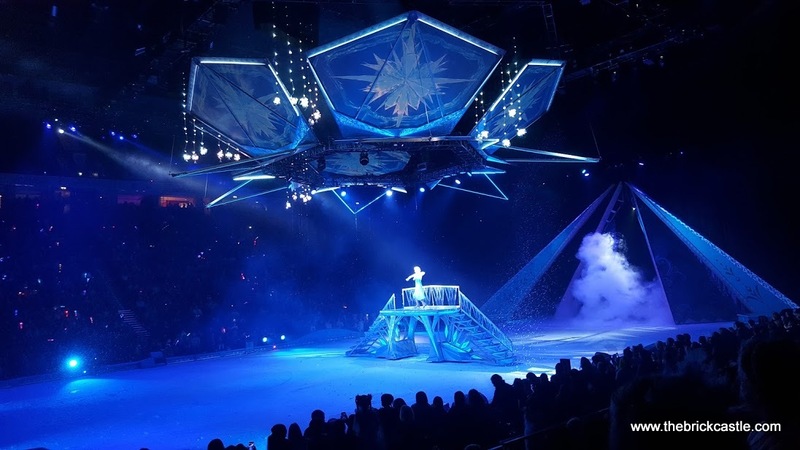 Tickets for Disney On Ice Presents Frozen are still available for their following shows, prices vary. See the Disney On Ice Presents Frozen website for details. We were given our tickets for review. Can't believe the prices of snacks!!!! Hahaha thanks Margaret - it really was amazing, such a beautiful thing to see.